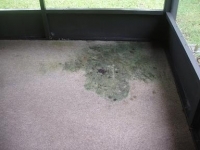 The Most Thorough Carpet Cleaning You’ve Ever Seen! Although regular vacuuming can remove dry soil and debris from your carpeting, it leaves behind oily soil sand particles that are produced from cooking vapors, pets, and dirt tracked in from outside the home. These oily contaminants that are left behind can cause your carpet to dull and fade. As the contaminants build up they become more difficult to remove. Regular deep carpet cleaning can prevent the excessive build up of contaminants and keep your carpets looking fresh and clean. Regular deep carpet cleaning also helps improve the air quality in your home by removing pet hair, dust mites, and other allergens that thrive deep in the carpet. Move small items and breakables from the area to be cleaned. Get ready to be amazed by the Rotovac. Pre-inspection: We will evaluate your carpet's needs. Every carpet must be treated differently. 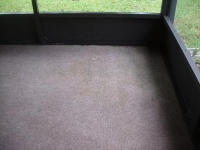 We will decide what will be the best method for cleaning your carpet. You will know up front what we can and can't do. This way there are no surprises. Carpet Cleaning Service: We use our state-of-the-art Rotovac equipment for a fast and thorough deep steam carpet cleaning. Scotchgard Protectant: For an additional fee, we can apply Scotchgard Protectant or other brands of protectant to your carpet and/or upholstery. This is an optional service. 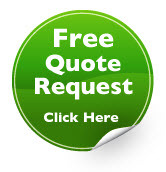 If desired, please ask for a quote to apply protectant. Protect: When necessary we will place plastic tabs under furniture legs to protect them during the drying process. To decrease drying time try to keep the room temperature about 72 degrees and use fans to circulate the air around the cleaned carpet. If desired, we have shoe covers to provide for you and your family to walk on the carpet immediately. 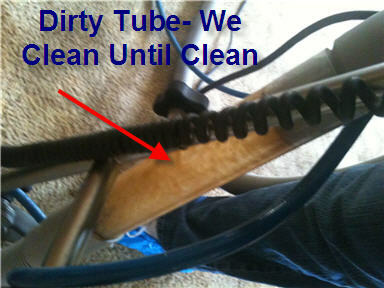 -Cleans from only 2 directions (back and forth) with a couple of cleaning passes. -Relies on the strenght and energy of the worker. 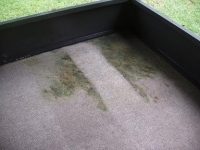 -Leaves many tough stains and shadowing in the carpet. We Use The Rotovac 360i! -Cleans from all directions with hundreds of cleaning passes. -High torque motors do not get tired so the quality is consistent throughout the entire job. 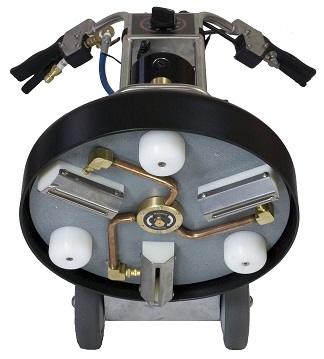 -Restores matted traffic areas and removes tough stains shadowing that the manual wand leaves behind. Thank you so much for working so hard on my carpets! I feel like I'm living in a new house! I had no idea that my carpet was as dingy as it was and how the whole appearance of the room would change from one serious cleaning! WOW! You were terrific to work with in every way. Your professionalism is unmatched and you brought great energy into my home. Thank you so much for all you do to help us struggling Domestic Divas!"